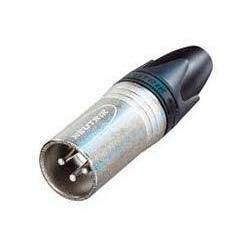 Our organization is engaged in an exclusive range of Neutrik Male Audio Connectors. Our offered audio connector is developed with basic material and latest technology in fulfillment with the norms of market. We are providing this audio connector on several specifications as per the client’s requisites. Our patrons can avail this audio connector in a confine time frame at reasonable price. Established in the year 2009, Render Technology Solutions is an established firm of the country indulged in Distributor and Supplier a variety of Industrial Vision Camera and Resolvers and Synchros and Industrial Encoders. Apart from these there are some other products Distributor by us as well such as Display Panel Meter, Baelz Components, LTN Make Products, Neutrik Male Connectors, Allied Motion products and CCD Cameras with GigE Vision. The products that we supply are manufactured by our vendors using premium-grade raw materials along with advanced technical machineries. Under these mentioned products, we do trade several others as well.